Robbie 4's Story . . .
Robbie was surrendered to a shelter by his Pennsylvania owner because he wasn’t getting along with the other dog in the home; the owner felt it was jealousy between the dogs. And so the lucky fellow became a MAESSR boy! This young man was very scared in the kennel at the shelter. He would growl at people when they came to the front of his cage, but was perfectly fine once they opened the door and let him out. He displayed the same behavior in a kennel at the vet's office. His foster mom crates him to see his reaction and has not noticed any negative behavior. Robbie does have some nervousness in new situations and with new people. His foster family has worked with the vet to put him on a mild medication to reduce the anxiety. It has worked well, and he is now much more comfortable. 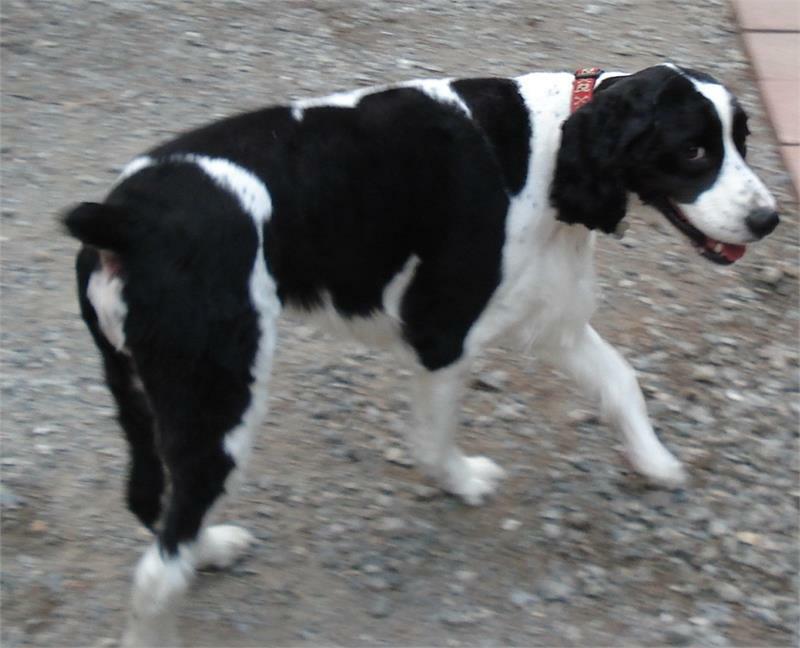 Since Robbie was favoring his left foot very slightly, the vet decided to x-ray his hips to determine the cause. She found some decreased range of motion in his left hip, but no arthritis when the x-rays were checked. In order to help reduce swelling in his hips and make Robbie more comfortable, he is being given a joint supplement and a NSAID pain reliever. The vet did not feel that his hip was extremely bad and is hoping that some preventative care will help him feel a lot better for longer. 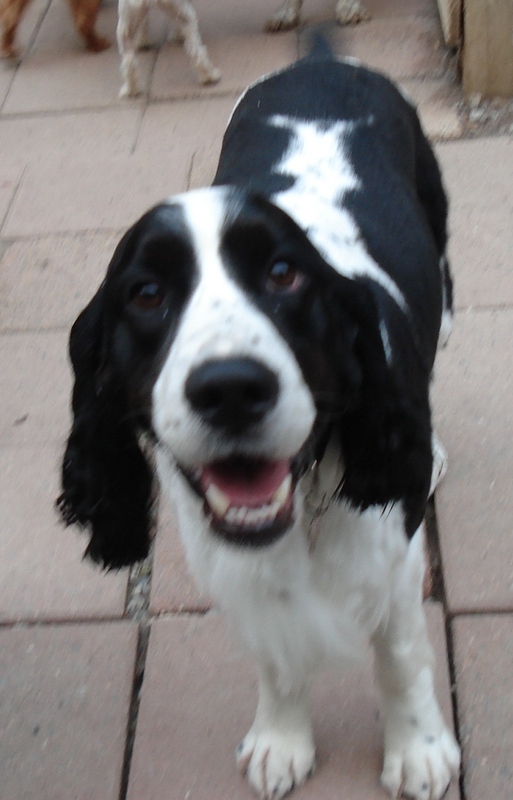 MAESSR’s handsome guy (take a look at those classic Springer markings!) has wonderful house manners. He is totally housetrained and crate trained. To make his good boy description official, Robbie has not counter-surfed at all in his foster home and walks nicely on a leash with just a little initial pulling. All creatures have their quirks, and Robbie’s is that he does get anxious riding in a car and will occasionally throw up. His foster mom feels this behavior will improve with more time spent in the car. Robbie is a very sweet boy who just wants a family to love him. Why not make it your family? 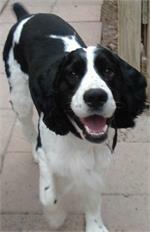 Open your home to a companion and have a very special Springer by your side for summertime picnics, hikes and fun! !